The Village now provides its police protection services. Dial 911 for all police emergencies. For non-emergency calls, contact the Lafayette County Sheriff’s Department non-emergency number at (608) 776-4870. Residents who will be out of town for an extended period of time may take advantage of home security checks. Simply complete the Request for Security Check form and return to the the Village Office. Information provided will be accessed only by the Benton Police Department to provide service to Village of Benton residents. 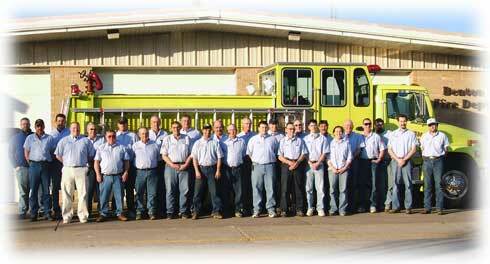 The Benton Fire Department is part of the 911 emergency response system. The Department is dedicated to rapid, effective professional services. With a well-trained staff of 42 volunteer firefighters, the department provides fire services to Benton, Benton Township, and the New Diggings Township, an area covering 54 square miles and serving over 1900 residents. 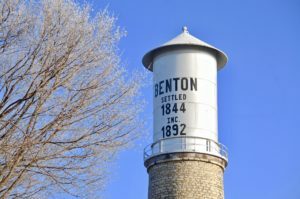 The Department is located on the corner of Main and Van Buren streets and is supported by the Village of Benton and by Benton and New Diggings’ Townships. All vehicles and fire-fighting apparatus are owned by the fire department. The Department recently purchased a 1999 rescue vehicle that served on Ground Zero during the September 11, 2001, tragedy in New York City. . Other vehicles in service include: a 2007 Freightliner pumper/tanker, 2000 brush truck, a 2000 First Responder vehicle, a ‘94 rescue vehicle, a ‘94 Freightliner pumper, and a ‘92 GMC tanker. Benton’s fire chief is Nicholas Neis, a 20+year veteran of the department. Persons interested in becoming a member of Benton’s volunteer fire department may call Nicholas Neis at . Rescue services in the Village are provided by the Benton First Responders and by the Hazel Green Area Ambulance Service. Dial 911 for all rescue emergencies. Persons interested in becoming a First Responder may contact Chuck Voight at 608.732.6404. Those interested in becoming a member of the Hazel Green Area Ambulance Service may call (608) 854-2953.